I like this wall pretty much. I worked at it a couple of days (2-3) improveing it bit by bit. 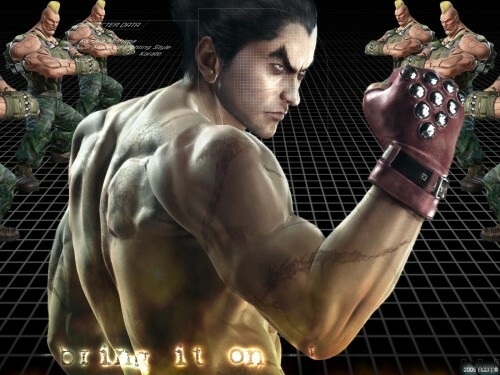 :pacman:SMASH THEM TO PIECES KAZUYA ! ! ! Very good wall of Kazuya. (father)I am great fan of the game. Did the intro inspire you? nice picture. Thank's for sharing.